It's taken me a while to get around to doing a comprehensive review of this show, and I admit to not being able to finish the final two episodes. Miss Korea's a drama that leaves me conflicted as to how to ultimately grade it. On one hand, there's no question that it's of solid quality, with notable acting, a story and cast of characters with surprising depth, and fluid directing plus one of the best soundtracks of the year. But despite all of these "gem" factors, this was never a story that got me in the heart, and I have fairly significant issues with some of the characterizations, especially Ji Young's in the later parts of the series. The pacing for Miss Korea was an issue from the very start, and is probably one of the biggest reasons for its domestic ratings failure. I recall the story being largely flat and unimpressive until around episode 5, only to die again just after episode 16. I tried multiple times, but could never stay interested enough to complete the final episodes. The 20 episode allocation was just too much for the story this series had to tell, and resulted in a lethargic pacing for nearly half of its run. While the middle portion was pretty much perfect, it was unfortunately bookended by too much setup and filler. The story noticeably ran dry at multiple points. There was too much time spent on the gangsters and Hyung-Joon's debt problems. The multiple scenes of Vivi getting beat up or threatened quickly grew repetitive, and I was especially upset with how the competition victory sequence was treated. Instead of focusing on the actual competition (which we've been building up to for the entire show), we get an awkwardly cut split-sequence of the Vivi guys alternately getting beat up and having their factory destroyed. I'll be honest, at that point I hardly cared for them, because we all knew that was going to happen and they were so helplessly pathetic. The slow-motion scenes of destruction came off cheesy and overextended, and it was frustrating that they chose to present this instead of devoting themselves to the actual focal point of the story. At the end of the day, Miss Korea is more a montage of character studies than a plot-driven series. The competition is only a plot point, and the true appeal is the cast of characters, whom you either love or hate. In that sense, the story doesn't really matter, because you're invested in the people you're watching. Yet that also ended up being a shortcoming, because while early on I loved how nuanced and realistic each person was written to be, none of them really won me over, and especially not the two leads as discussed below. The romance was in my opinion the weakest link in the series, and honestly I wasn't much in love with the leads either individually or together. A major problem was that I wasn't ever clear what Ji Young saw in Hyung-Joon. To me, he was a too-old former jerk and life failure, who lacked any semblance of character strength or integrity. Their flashbacks only confirmed that, because for all purposes he only seemed to "love" her for her appearance, and chose to dump her once it became convenient. His concern with her in the present was slightly moving, but didn't quite convince me that he liked her for the right reasons. I do think he was right to encourage her to focus on building her career without him, but that only brings me to the issues with her characterization. As the story progressed, it became harder and harder to comprehend Ji Young. She seemed like such an independent, strong-willed girl early on, only to fade into a lovesick, blatantly immature shell of a character later. Her life started revolving around Hyung-Joon, and certain actions completely removed my respect for her character. The first was when she rescinded her money from her family to give to Hyung-Joon, with the statement that Hyung-Joon was the most important person in her life. What? These people raised you, supported you against their own moral compasses, came to cheer you on when Hyung-Joon didn't make it to the competition, and even begged for your livelihood at the elevator. Putting a boy over your own family sounds like something a 13-year-old would do, and that scene pretty much destroyed any potential sympathy I had for Ji Young. The second was with all the times she ostensibly refuses to heed the warnings of no boyfriend allowed for the competition and tries to cling to Hyung-Joon in public. Girl, you can't just wait a few months and keep things under wraps in the meantime? Again, this is behavior I'd expect from a prepubescent teen, not from a full-grown woman with business contracts at stake. Take a cue from your peers and learn some basic professionalism. I'm also going to debate the unabashedly praised acting from our leads. Both were solid, but also fairly one-note. 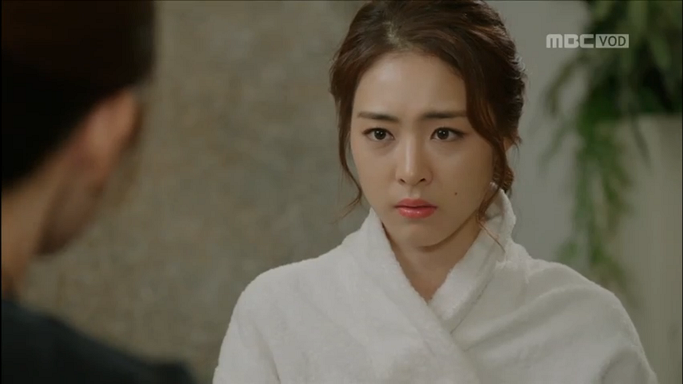 Lee Yeon Hee came off recited at multiple points, especially in the later parts, and I largely recall her with only a couple expressions - a blank default, Waikiki smiling, and flat anger. Lee Seon Kyun also didn't have much to do except smile supportively for much of the show's run. Luckily that's a role he plays well, but it didn't do much to impress me with his acting. Their chemistry was also pretty tepid as far as leads go, most likely due to the large age difference. I found myself not caring whether they ended up together or not, and early on was even rooting for the continually shunned second-lead (who I wish they'd bothered to flesh out further). While the two leads may have fallen far below expectations, I generally loved all of the side characters (villains excepted). Lee Mi Sook's former pageant queen was an absolute scene stealer and my favorite of them. She had plenty of egotistical, strong-armed moments, yet was completely winning. 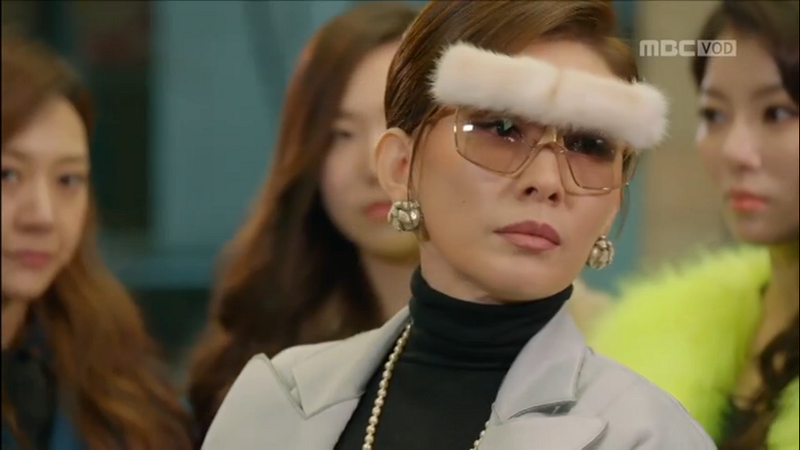 Her dynamic with Choon Ja, Ji Young and Jae Hee all felt heartwarmingly genuine and at times inadvertently hilarious, as did her over-the-top hairdressing shows. Gu Sung Hee's Jae Hee was also one of my favorite parts of the show. I can see how this role won producers over, because Gu portrayed Jae Hee with a perfect mix of reserve, elegance, and heart. I personally liked her aloofness, because it was what made her standout from Ji Young and the other immature ladies around her. It helped that I also completely respected her character, unlike Ji Young, because she stayed true to her final goal and found purpose even in the most challenging moments. I think she actually should have won Miss Korea, though I understand that the story had to end with Ji Young's victory. The side pairing of Teacher Jung and Hwa Jung was admittedly cuter earlier on than later. I loved their initial interactions so much that I found myself watching for them rather than the main pair. But alas, the lengthy story eventually sucked out much of the heart from their interactions, and it became more of a typical angsty, social-status challenged relationship rather than the mature cuteness from earlier. The one consistent positive that I loved was the vintage feel of the show. Something about the moody score and the washed-out color palette managed to elevate the general feel of the show into something of a decadent treat, more than the sum of its parts. To be honest, the soundtrack was what kept me going during the slower parts of the series. The ending sequences were particularly evocative, with the old-fashioned reel and the strumming music. I've been listening to three of the songs on repeat, which are Every Single Day's New World, Street of Angels, and Onew's Moonlight. Even more, every time I listen to the songs I want to go back and watch some of the sequences featuring them, which is truly a triumph in music selection. I was pleasantly surprised by the serious tone of the drama from the start. There's this oddball humor to it that was adorable, but it's interspersed with periods of unexpected moroseness. The acting, while not awe-striking, was unquestionably solid, and managed to extend the characters into what felt like real-life beings. Overall, I enjoyed the series and found it to be a rare, thought-provoking piece that didn't have to rely on fantastical story elements or excessive angst to build a story. I wish it'd taken its characters further, but as it is I'm satisfied with how the tale played out.